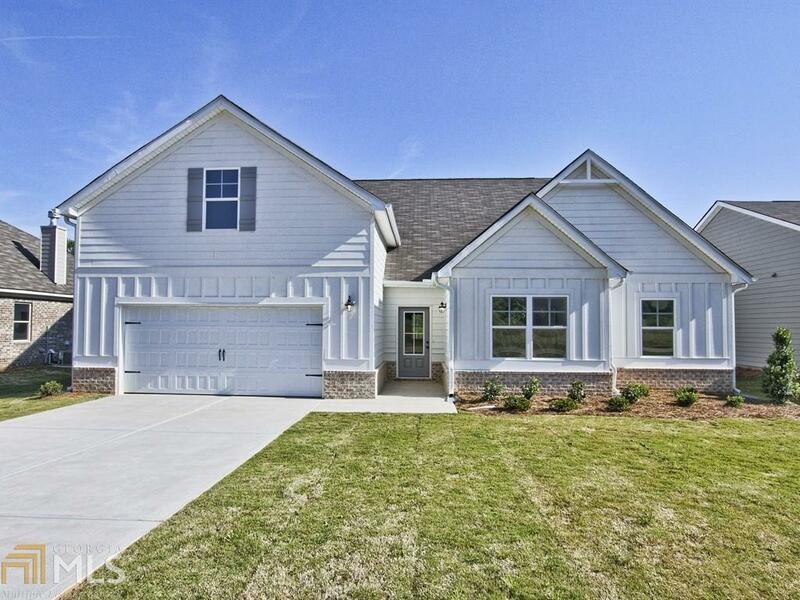 The Huffman Bonus built by Knight Homes in Berkeley Lakes. Introducing the 4 bed/3.5 bath Ranch with a huge bonus room upstairs + full bath, and over $15,000 in savings! This ranch has a stunning open floor concept that features lots of natural lighting, coffered ceilings in the dinning room, hardwood floors, custom trim detailing, and an updated gourmet kitchen with granite countertops and stainless steel appliances. Upgraded tile is in the luxurious master bathroom and around the garden tub. House in under construction, stock photos featured. Seller will also pay up to $5,000 in closing costs. Call us today to schedule a personal showing! Directions: I-75 To Exit 212/Bill Gardner Parkway. Travel East On Bill Gardner Parkway. Turn Right Onto Highway 23/42. Turn Left On Davis Road. Left On Villa Grande Drive - Sales Trailer Will Be On The Left!